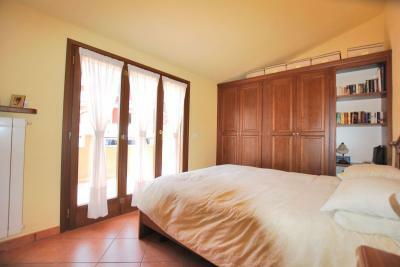 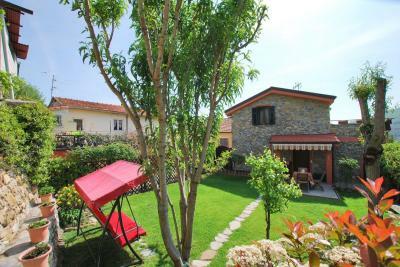 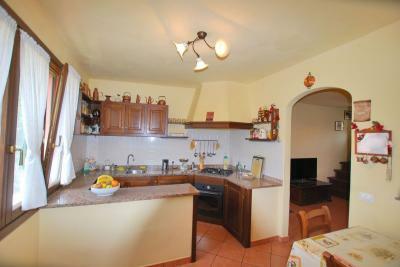 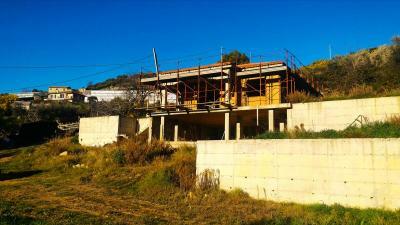 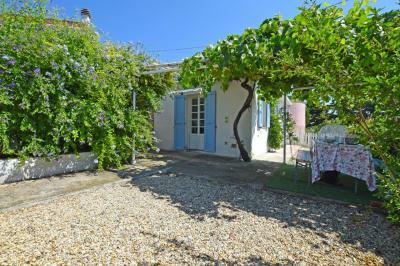 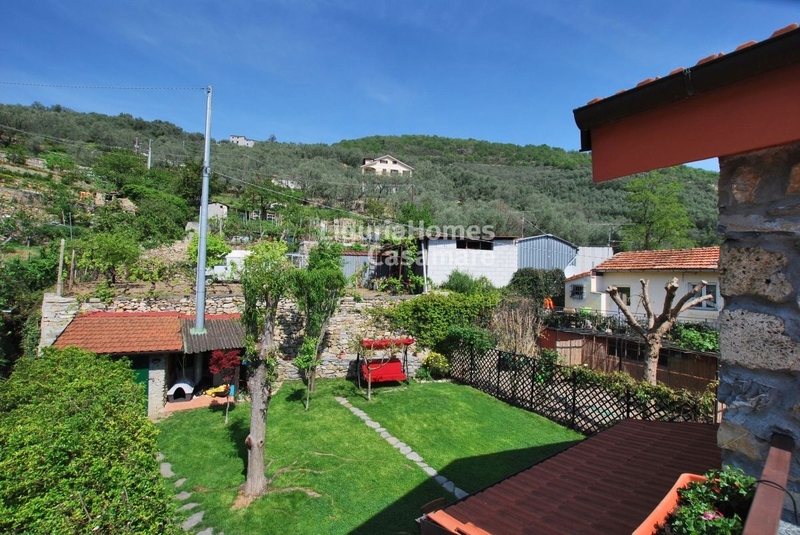 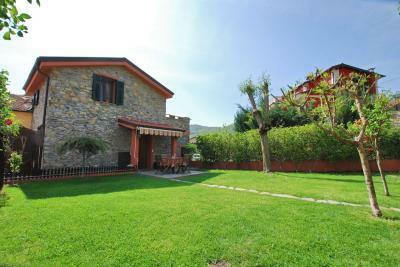 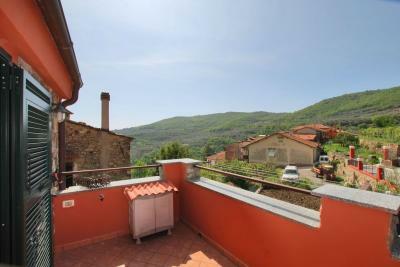 Lovely Villa for Sale in Villa Viani. 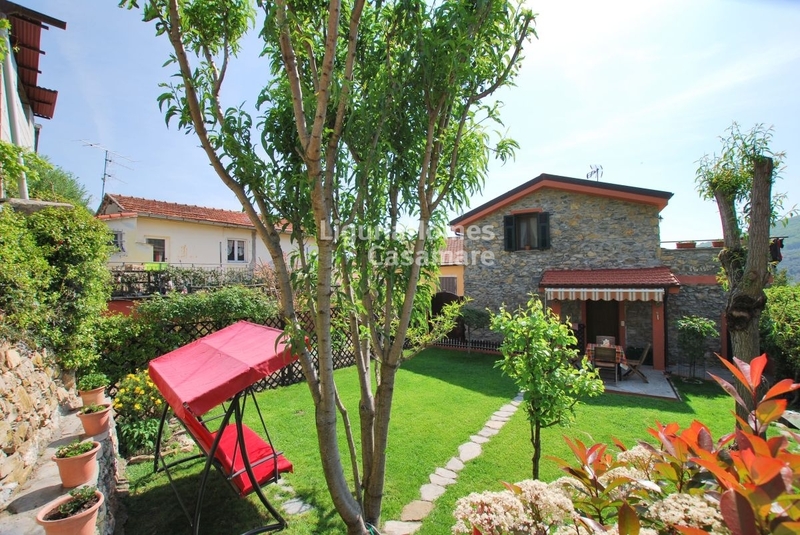 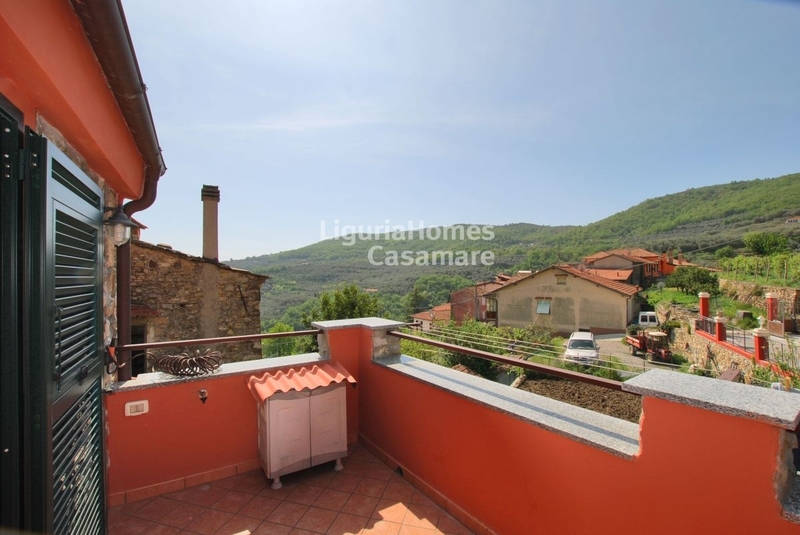 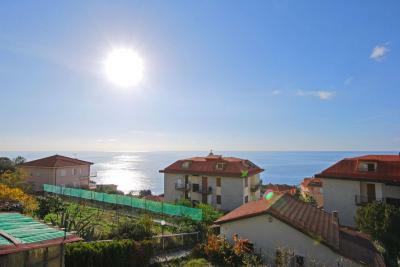 In the quiet hamlet of Villa Viani, Pontedassio, just a few minutes from Imperia and the sea Villa for Sale with private garden. 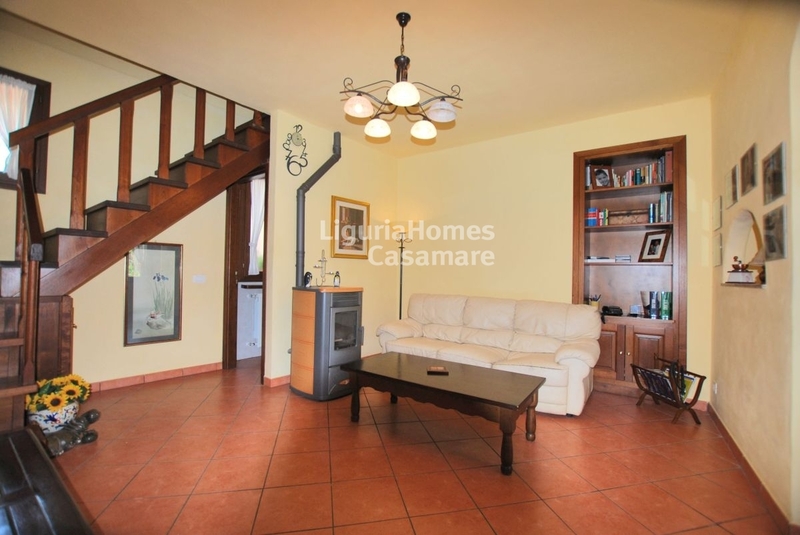 Born from the restoration of an old stable excellently renovated, the Villa for Sale is free on three sides and it is now composed of an entrance to a living area, a separated kitchen, a bedroom and a bathroom; a lovely cedar wooden staircase leads to the main sleeping area where there is a master bedroom with a large terrace and a dedicated bathroom. 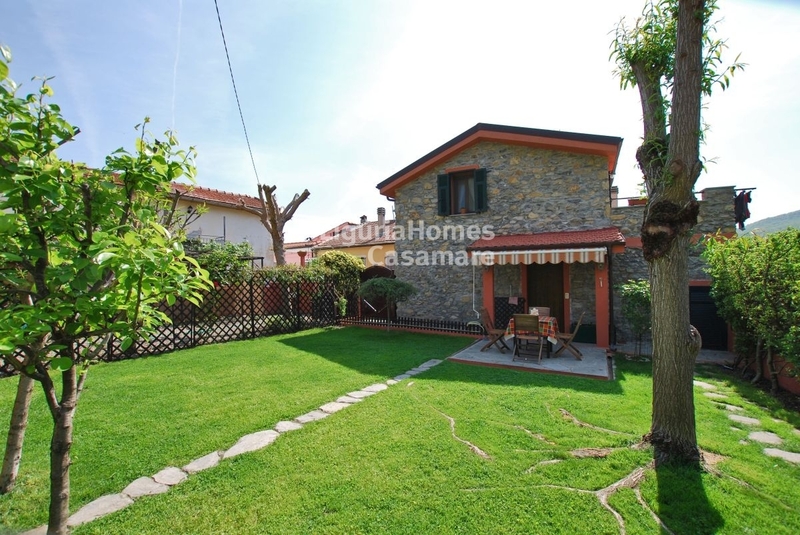 This lovely Villa for Sale in Villa Viani is built with excellent finishes,antiseismic, solar panels, a double heating system and has a garden of about 350 square meters that in summer offers a lot of colours and emotions. The Villa for Sale in Villa Viani is perfect for families who are seeking tranquillity with proximity to the services and the city or for those who seeking a holiday home where you can rest and relax among olive groves and vineyards.